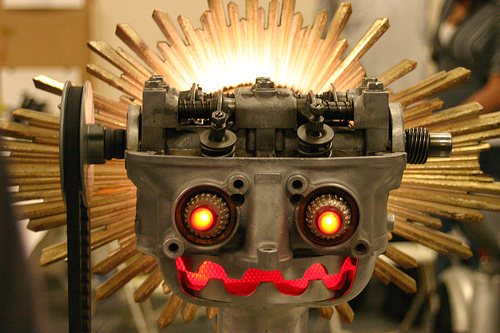 I took some fun pictures wandering around the Maker Faire with Scott last weekend. Makers = ubigeeks plus knitting circles plus sideshow carnies plus ecowarriors plus heavy metal machinists plus friend artistes, apparently. Very trippy, with lots of 21st century homespun charm. The Receda Cube has been found! "Darley, an amateur archaeologist, found the Cube buried in Wakerley Great Wood, a historic ancient woodland 110 miles north of London. He spent three days digging trenches in the woods before he spotted the Cube in wet clay. Darley could hardly believe that he beat over 50,000 other people to the prize." Clay Shirky, Henry Jenkins & Beth Coleman three-way celebrity deathmatch in Second Life! Be sure to parse the backstory carefully, it's multi-threaded and densely textured. Hey, wouldn't it be fun if this discussion were captured in Second Life, played out on a theatrical stage by little Mummenschanz-style avatar puppets of Henry, Clay and Beth, while a nearby billboard tallied up the Resident count in giant 7-segment font? I'm just saying. LIFT07: Five Ways to Follow the Conference From Home, in case you're stuck in Lodi or something. I'm a trained geek, but my technology still overwhelms me on occasion. When this happens, the Internets are my ninja weapon. Today I needed to edit a Word document, but a bunch of the fields were password-locked by some long-lost author. Fortunately Google knew that I would need to see Microsoft Word Protection Bypass. I had never hex-edited a Word doc before, but Google knew where I could download several tools for this, such as the simple and elegant HexEdit. Elapsed time: < 10 minutes. Another trivial example. After the crash, I got my laptop rebuilt but it was still throwing a tantrum because of a missing driver on an unknown piece of hardware. The only clue I had was this cryptic string in Device Manager, "ACPI\WEC0518". Mostly out of desperation I searched on this string, which brought me to the exact forum post where someone else had the same problem solved. W00tsky! Elapsed time: < 10 minutes. I'm pretty certain I would never have sorted either of these problems on my own. How I ever survived without the Internets is a mystery to me. Thanks to everyone out there making all that great UGC, you've truly made my life better! 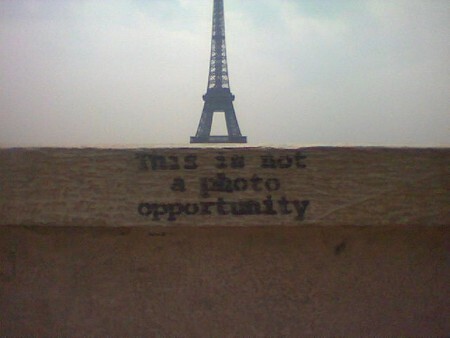 Flickr informs me that this funny little thing I found in Paris is one of Banksy's interventions. Of course there's a pool for "this is not a photo opportunity" pictures. I took this from the plaza above Palais de Chaillot; just for grins, here's the geotagged photo on flickr, and here's a better view of the location on Gmaps. Thank you John Furrier and Robert Scoble for noting that HP has long had a great culture and tradition of innovation, and 150,000 dedicated employees who are just as perplexed and disgusted about the BoD scandal as anyone. I really appreciated your comments, and they helped crystallize an idea for me: what HP needs now is the HP Way 2.0. The HP Way 1.0 is not dead, but it is certainly under constant siege these days. Here's a good balanced article on the HP Way from the local Palo Alto Weekly dated April 10, 2002, when we were in the middle of the Compaq merger proxy fight (now that was a horrible period at HP). Looking back, I would say that both Carly Fiorina and Walter Hewlett were right about the merger. Consolidation for scale turned out to be a correct strategy for winning in the increasingly cutthroat PC and x86 server businesses, and HP has done very well in those areas. However, the cost of being a leader in PCs is increased exposure to an unforgiving, slow growth, low margin business that in turn demands a ruthlessly lean and efficient operating model. Perpetual understaffing, tight budgets, burnout working conditions, and layoffs all seem to come with that territory. It is a lot harder to maintain innovation, trust, and respect for individuals in that environment, and so these cornerstones of the HP Way have been slowly chipped away. In addition to the Compaq team, HP has also brought in a lot of new exec talent from places like Dell, WalMart, and EDS. Guess what, they didn't have the HP Way in those places. So it's no big surprise that they aren't playing the game by the old rules. They are trying to change the game entirely. You can certainly debate whether their strategies are correct, but in the meantime, chip, chip chip at the old ways of doing things. In many ways, HP Way 1.0 is no longer relevant to the reality of our industry. HP has been on a roll this year with improved revenue, profit, and stock price. There are a lot of reasons to be hopeful that the new cost structure and operating model will enable more investment in innovation and contribution to customers, which will in turn lead to exciting new products and renewed employee passion, which in turn will turbocharge the business. This kind of 'virtuous circle' is what the leaders of HP have been trying to achieve for the last 7 years, and if we can pull it off then maybe we will see the rise of HP Way 2.0. You know, sometimes it takes a crisis to precipitate a catharsis -- and maybe our current board crisis can be turned into a vehicle for purposeful renewal of the HP culture and our presence in the world. It would be hard and painful thing to do, and it would take incredible leadership from Mark Hurd and his team and from every person in HP, but I could see it, I really could. Am I crazy? Inspired? Deluded? Maybe, but I think it's a great question: What would a truly great HP look like, that would be deserving of the term HP Way 2.0? Just came back from the NPUC 2006 workshop in IBM Almaden (NPUC = new paradigms 4 using computers). Well I left early, so I missed the venerable Sam Ruby talking about teens but I did get to see Rob Miller almost demo Chickenfoot, Ross Mayfield evangelizing sharepoint, er, I mean wikis, and Stewart Butterfield being wonderfully himself. Also, plenty of old friends and colleagues and some pretty good celebrigeek-watching. Maybe some will show up here. 2. Ross Mayfield mentioned a few things worth following up on. Benkler's Wealth of Networks and his Coase's Penguin paper, which I've had on my list for awhile. Wikicalc (Ross asks "What happens when a document is a [spreadsheet] cell and a cell is a document? What if each cell has an RSS feed, and with a bit of imagination you have a global collaborative spreadsheet?"). Miki (a mobile device wiki platform -- is this similar to the tiddlywiki I keep on my USB drive?) And oh by the way Socialtext launched an open source version today. Apropos enterprise adoption of wikis, Ken(? ), a person from Socialtext in the audience, suggested that when people ask you for information, you just tell them "It's in the wiki". His view is that is enough to get people's feet wet. Well this is a longer conversation, but I've tried that and in my experience that's a necessary step, but far from sufficient. Ross QOTD: "pdf: where knowledge goes to die." Bet the Adobe crowd loved that. * Make things massively multiplayer. Flickr is massively multiplayer photo sharing. * Create an ecosystem, not a distribution channel. * Media objects are a locus for interaction, rather than things which are passively "consumed". Square that circle and smoke it. 4. Maybe someone else has some further insights? 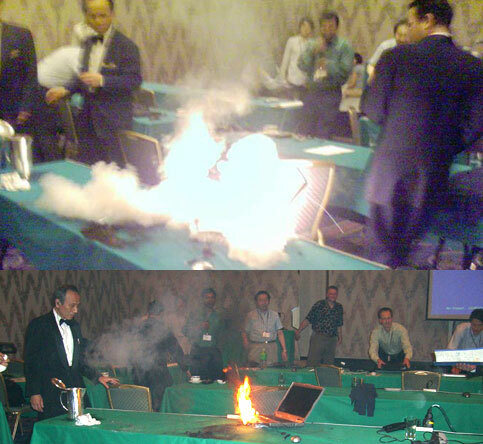 Update 2006-08-16: Presentation material from several of the talks is now available on IBM's NPUC site. OK, I'm officially on sabbatical for the next 2 months. I wonder what I will do. Tom Tomorrow is one of my favorite cartoonists, and he's uncovered some rare posters of his work from 1995. He's selling a couple of them on eBay, auctions here and here ending July 10th. Fair warning, if you're bidding on these, you're bidding against me! dude, you're getting a third degree burn! Wow, this is even better than that Xeon-roasted thing. are you a search size queen? The ads are big too, baby. 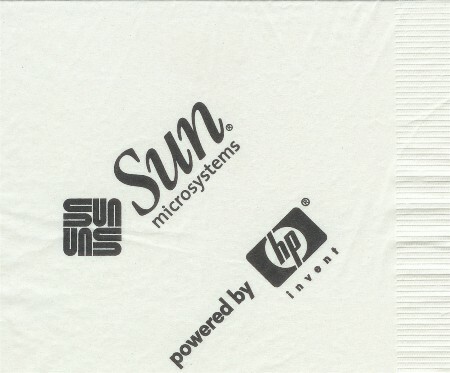 HP sponsors a Sun conference, heh! Sun held a data center conference in Australia a few months ago, and when they put out the call for sponsors, HP was there to help. Apparently HP sponsored a cocktail event and stocked the venue with custom napkins. 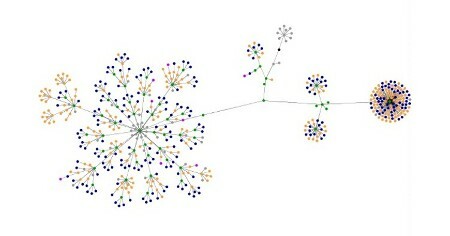 Fig 1: The Websites As Graphs view of fredshouse.net. Cool project by Sala, the person who did the netfamous paintings of numbers. It's built with the excellent tools Processing, Traer Physics, and HTMLParser. You can look at the source; it would be fun to mod this code to crawl an entire site rather than just the top page. Right Web, a program of the International Relations Center founded in late 2003, explores the many ties that link the main players, organizations, corporate supporters, foundations, educational institutions, and government representatives to each other in what we described as a new architecture of power. Right Web primarily focuses on the influence of this architecture of power on the direction of foreign, military, and homeland security policies. Most of the organizations and individuals profiles are now associated with the Republican Party, but this "architecture of power" crosses party lines as does the Right Web program, which also profiles such right-center organizations as the Democratic Leadership Council and leading liberal hawks. For an overview of this architecture of power, see The Right's Architecture of Power. "He wanted us to send some beer," said Ericson. "I had an address. I needed to send the beer to 1600 Pennsylvania Ave."
Now *that* was a president.